The reordering and direct assignment of responsibility to the Chairman of the Board of Management takes account of the growing importance of the Chinese market and the high pace of technological development in China. Especially in the fields of e-mobility, connectivity, automated driving and shared mobility, China is increasingly setting global standards. This development calls for the direct, intensive focus of the Chairman of the Volkswagen Group Board of Management. In future, Dr. Stephan Wöllenstein (55), CEO of Volkswagen China Passenger Cars and Executive Vice President of Volkswagen China Investment Company, will manage the business operations of the Group in China as Chief Executive Officer. Wöllenstein holds a degree in business administration and has comprehensive experience with China. 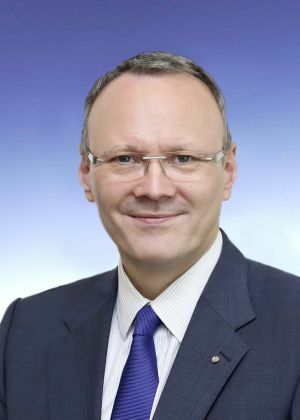 Prior to his present function as CEO, Wöllenstein was Managing Director Volkswagen Brand and Executive Vice President of FAW-Volkswagen Sales Co., Ltd. in Changchun. Previously, he held various responsible positions in Volkswagen brand sales and with SAIC VOLKSWAGEN in Shanghai, where he was responsible for Sales & Marketing from 2004 to 2006.